“Though a long and painful process, I’ve learned that happiness is an inside job ” Among the vast population of world people are daily running for a job that suits his/her skills set. In other words, if you have more pleasure in the job you will soon get more perfection in your work. So, finding a suited job you have to generate an eye-catching CV (Curriculum Vitae). 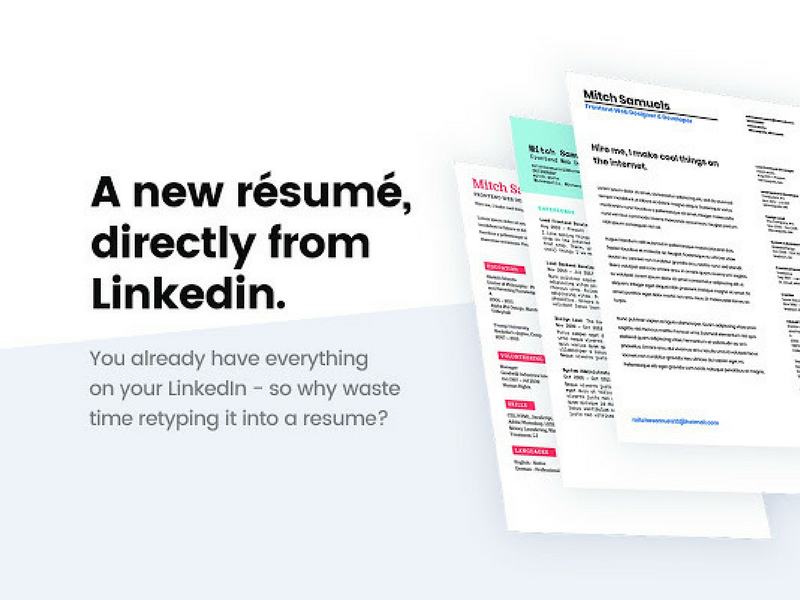 In this article, we will help you to Generate CV from LinkedIn Profile – Ceev. Generating a good CV is not a tough task, but when it comes to generating a CV according to your work experience, Project details and contains all information about skills it is somewhat time taken. Linkedin is a great platform that offers you to apply for the jobs directly from its profile Meanwhile, Recruiters scan your profile and find that you suit for the job profile or not. Additionally, LinkedIn can generate your polished CV (Curriculum Vitae) with the App called Ceev for free. 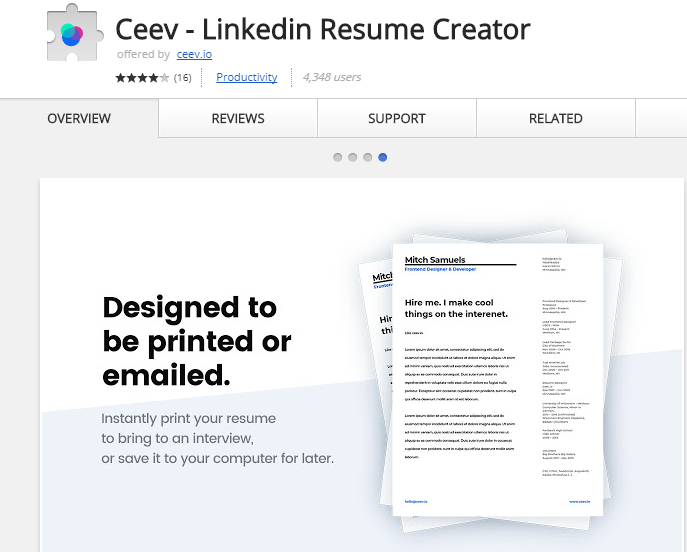 Ceev is Chrome extension for Chrome that allows you to generate CV (Curriculum Vitae) smoothly by converting your LinkedIn profile into a printable resume. Ceev is full of rich templates and colour schemes, So, once you installed it pick a suitable template and colour. After that all depends on Ceev that generates your beautiful CV. For now, Ceev has only four templates, but you can go with other options to change the look of your CV (Curriculum Vitae) colour, the font style, as well as the page size. In case, Ceev left some of you important information to print use the edit feature of it and fill the gap. Ceev is really useful as it helps in shifting your LinkedIn profile into an eye-catching CV. So, let’s take a new start, just turn your all skills, experience, and project details in your CV with Ceev in order to save your time and efforts for the new one.